Home to the University of Northern Iowa, the Waterloo/Cedar Falls area is also home to meatpacking facilities, agricultural equipment production and support, and boasts a higher rate of racial diversity than most cities in Iowa. The metropolitan statistical area population for Waterloo and Cedar Falls has been stagnant at about 125,000 for well over three decades, indicating a lack of growth in an area of the upper midwest where some areas have grown significantly, successfully reinventing their agricultural and manufacturing sectors to put up with the demand of the new global economy. Waterloo has, however, benefited from a bolstering of infrastructure as U.S. 20 has recently been completed to the west as a 4-lane freeway all the way to I-35, creating almost 200 miles of uninterrupted 4-lane, divided highway from Dubuque in the east to Fort Dodge in the west. In addition, Waterloo is connected to Interstate 80 via Interstate 380, a 73-mile spur route designed to give Cedar Rapids and Waterloo access to the Interstate Highway System, which is important for local commerce. 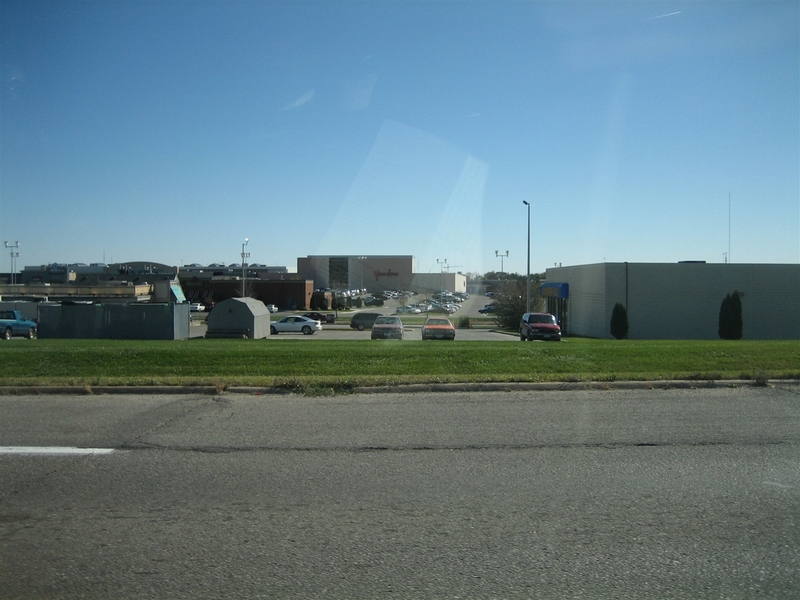 As the center of retail commerce for a large swath of mostly rural northeastern Iowa, Waterloo is the home to many national chains and two enclosed malls. 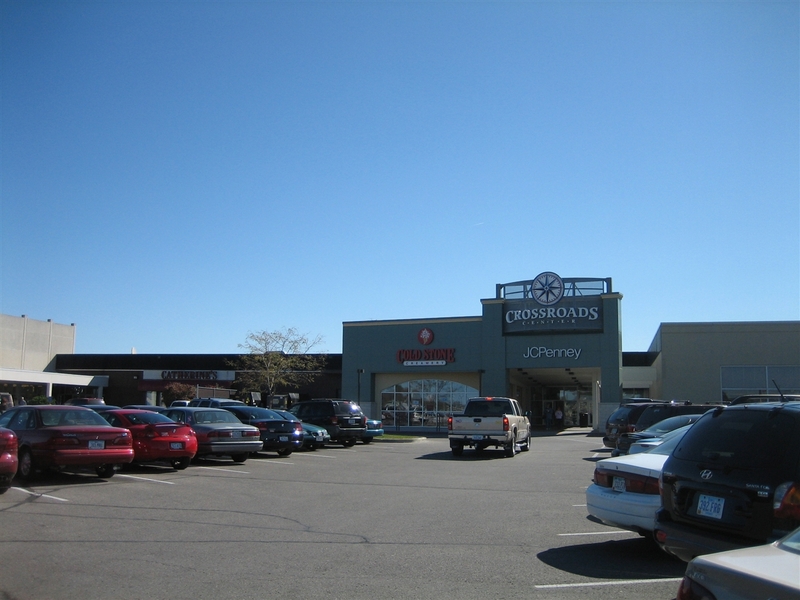 Opened in 1970, Crossroads Center is the dominant of the two, the other being College Square in adjacent Cedar Falls. 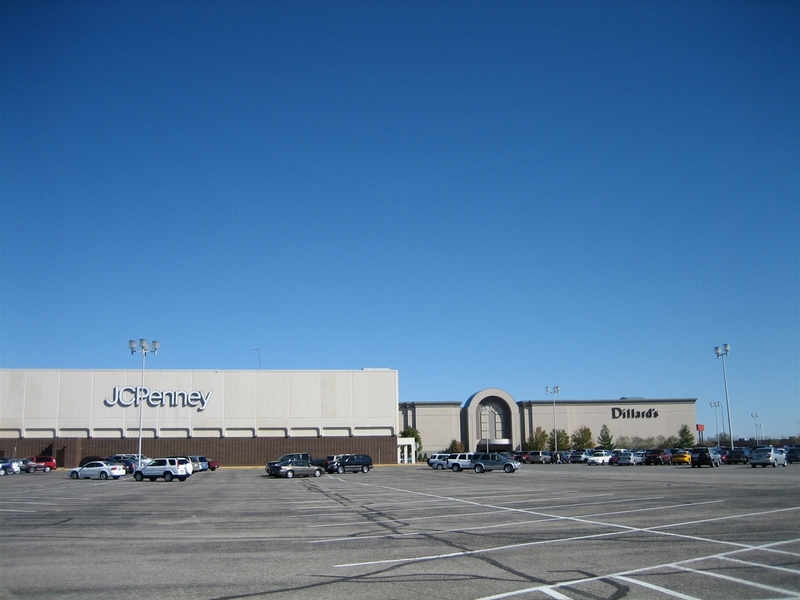 Anchored by Dillards (which opened as an addition to the mall in 1996), JCPenney, Sears and Younkers, other major stores include Old Navy, Scheels All Sports, Gordmans and CVS. Crossroads Center is currently owned by Jones Lang LaSalle, a real estate and money management firm based in Chicago. It is located near the intersection of Interstate 380 and U.S. 20 on the south side of Waterloo. 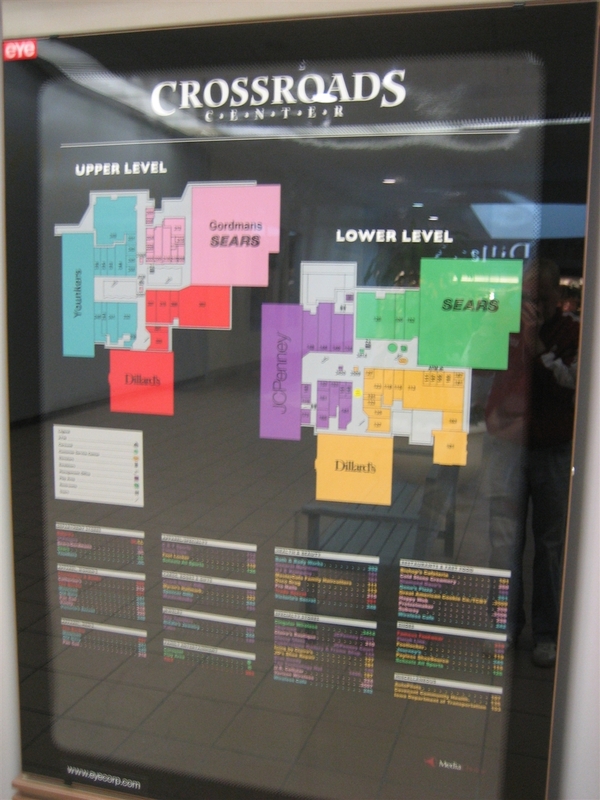 The decor and layout of Crossroads Center is impressive and feels somewhat dated, despite a minor renovation in 2005. As a two-level mall with 800,000 square feet, the horizontal footprint of the mall feels much smaller than similar sized one-level malls. In addition, I would suggest that the anchors are square-footage heavy, also leading to the feeling that the mall’s in-line space isn’t very large. The most impressive feeling comes from the mall’s very open layout in the mall’s center, featuring a full sized carousel on the ground floor which opened in 2004 and tall, somewhat modern looking towers of colored glass functioning as planters. Such a design is not modern by any means, and harkens back to a time when malls were viewed as places of community with a certain esthetic and not just a means to maximize profit per square foot. The anchors flank the spaces around the mall’s large open area, and there are few hallways radiating outward from this center. 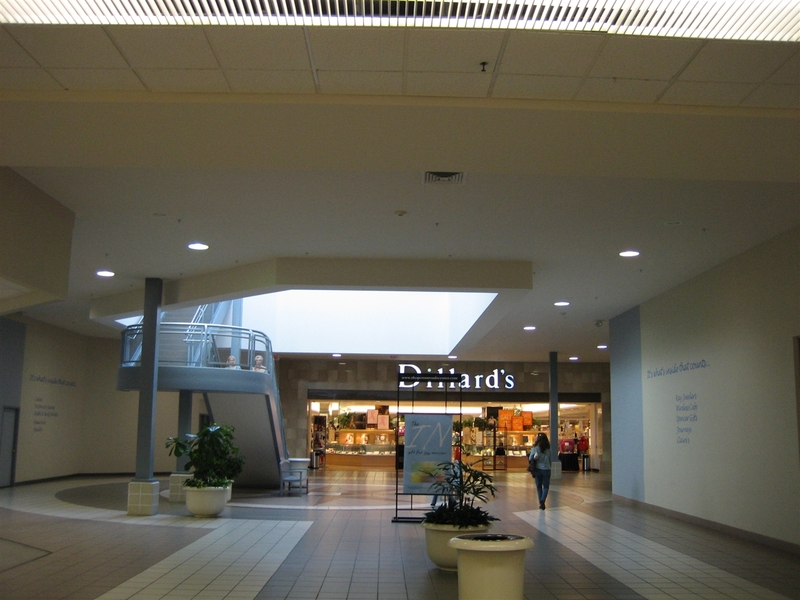 One small hallway leads to Dillards and it is almost completely devoid of stores, as you can see in the pictures. Another interesting feature involves the stacking of anchors, where Younkers is placed directly on top of JCPenney. The photos below were taken in October 2006. Let us know more about this history of Crossroads Center, of Waterloo, or leave your own personal anecdotes. I was surprised at the size of this mall. It’s really small. I’m not sure if that is what works for them or not. Typically, this size mall would be doomed in a larger metropolitian area. However, Iowa is anything but typical. It could be the right scale. Nevertheless, it still surprised me. I have a feeling that Gordman’s used to be something else. Anyone know? I saw a postcard of this place on Malls of America. Seems pretty cool, if a bit small. I think Scott is right: the anchors look huge and more than likely the JCPenney and Sears comprise a good portion of the mall’s sales area. With a mall of that vintage, both chains were routinely building 150,000 + square foot stores, even in small cities like Waterloo. It looks like Sears gave up part of its floor space for Gordman’s. The Grodman’s entrance looks like the old Sears entrance in the MOA postcard. @Steven My mom used to work in this mall. Penny’s used to be two stories with both levels being the same size. Sometime in the 90’s Penny’s downsized their second floor and Gordman’s took over the portion that Penny’s gave up. Sears also used to be two stories…but they closed their top level and this reopened as Herbergers. This has since become a Younkers. That Younker’s store exterior looks alot like the Lord & Taylor store at Mall St. Matthews. I know that L & T would not have located here but the resemblance is amazing. I could very well be mistaken, but a few years ago my brother managed REX TV and Appliance in this mall, and I thought he said it was near Sears. I think it had an exterior entrance as well. Maybe that space is now Gordmans? I’ve only been to this mall two or three times and it was nearly ten years ago so it’s very hard for me to remember. Here’s a listing of mall stores circa 2001. That 2001 list doesn’t help, Gordmans was there even in 2001. Also, it doesn’t look like Gordmans opens out into the mall. That’s fine, I wasn’t trying to prove a point by posting that link, I just thought it was interesting to see how many stores had changed in just a few years. 🙂 Also it would have been sometime in the late 90’s when he worked there anyways. I know the store was located in the mall, just not sure where exactly it was. The Rex TV in my area used to be located in a mall as well, but they built a freestanding store a few years ago. Well I really like those multicolored faux torch lights used as planters (to save on the ‘lectric bill?). If anything, helps adds some flare to the bland white seen in too many malls today. Who designed this mall? It looks Gruenish. The Old Navy at this mall does not open in to the mall, which I thought was odd. I used to drive back and forth between Sioux Falls and Dubuque once a month when I was in college. I woluld often stop at this mall because at that time Sioux Falls did not have an Old Navy. I thought I commented about this mall already, but I see I didn’t. The only thing that’s kept confusing me about this mall is the Gordman’s. Is this one just a one story store that just happens to have been built right next to the Sears space, or was the Sears space subdivided at one point(+ gave up some of its selling space) so Gordman’s could open here? My confusion aside, I do like the design of this mall, even if it is small for being a 2-story mall(and if possibly the anchor spaces are bigger than normal for a mall). I should see if this mall possibly has a website, so I can get a better idea of how its laid out. Should also say I like the old-school Younker’s sign, too(which seem to be slowly disappearing from all the sister Bon-Ton/Northern Department Store sister chains, a la Bergner’s, Herberger’s, Carson’s, Elder-Beerman, etc.). I believe the Gordman’s was just a one story store that was built right next to the Sears space. Ah ok, that’s what I thought it was. Thanks for clearing that up for me. In the 80’s the Gordmans was Sears. Sears subdivided the space and in its place a pharmacy (I believe it was a Pharmore Drug) opened up. About a year or two later, the pharmacy closed and The Half Price store opened in its place, which eventually became Gordmans. And Herbergers didn’t close. The name changed to Younkers. I lived in Cedar Rapids, and my grandparents lived about 40 miles north of W’loo when I was growing up. We used to meet at the mall. Where Younkers is at used to be the upper floor of Pennys. It was remodeled into a Herbergers. The wing where Dillards is at was built on in the mid 90’s. Rex was where Gordmans is now. Gordmans opened in the early 90’s and Old Navy was opened about 1999-2000. I hope this helps clear things up. So the Younkers used to be Herberger’s? Yes the Younkers was a Herbergers. Herbergers closed the Crossroads location then Younkers took over the space. http://www.thefreelibrary.com/Proffitt's,+Inc.+makes+announcements+regarding+newly+acquired…-a019321498 This is a website that talks about the conversion from Herbergers to Younkers in 1998. I hadn’t noticed previously that JCPenney split its space wirh Younkers. That’s different! About the confusion about Gordman’s. This space was actually part of Sears. Sears retained the back area of the store (with mall entrance), and the lower level too, and this area was split off. In the old days, when you’d walk into what is now Gordman’s door, you would see the Seras girl’s clothing on the right (I remember this because my mom would take me there to buy dresses when I was a kid). I believe men’s clothing was on the left, if my memory serves me. Ladies shoes was on the left a little further down. I wish we had pictures of the interior of the mall back then! The mal has changed significantly since it was first opened. Of course, back in it’s heyday, the shopping malls were pulling traffic out of downtown and into the newly blooming suburban areas. The mall has seen expansion since I was younger. There used to even be staircases long ago. JC Penney’s and Sears were the ‘bookends’ of the mall, each store operating on both first and second levels. They were also the only places in the mall where you could take an elevator in the mall. Back in the day, the mall housed a Woolworth’s (an old retail store), and a type of department store where an Old Navy now resides. The mall was originally open like this years ago (sans the gaudy carousel). 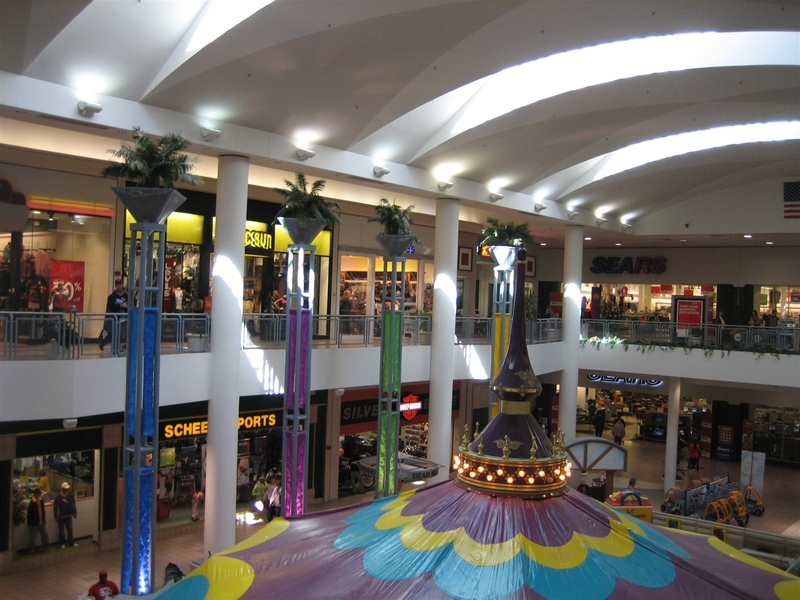 But in the early 90’s, the mall tore up the middle portions and placed food courts in the center portion of the mall. It was interesting to have centralized food courts for Crossroads. The Food court lasted about 6-8 years, before they took these structures out, and gave the mall back it’s simple open floor space in the late 90’s. The mall seems to be gradually going downhill, as nowadays most upper-scale stores are giving way to empty storefronts, and more. Palace Clothiers had originally been part of the mall for years, but went off on it’s own several years ago. Gap used to have a store in the mall, but that closed up, along with KB Toys, and several other prominent store chains. Sears cut back it’s floorspace by about 25-35% years ago, taking out space on the upper level. The space was orignially a Pharmor, but due to the company losing profits, the store was quickly shuttered as soon as it opened. Gordman’s soon took Pharmor’s place. @Michael, Been in this mall exactly two times in my life…one was in 1993 and I remember the weird food court. Some place that sold Corn Dogs…Corn dog 7 i think was the name of it. Along with the original two-story Penney’s and Sears at either end of the mall, there was a third (although smaller) anchor; Black’s Dept. Store, later Donaldsons, then Carsons. From the outside it was to the left of the current Younkers and took up the entire section between Younkers (formerly Penneys second floor), and the mall entrance on that level, except for a small part occupied by Walkers Shoes. Woolworths took up the area on the lower level below Black’s. I worked at Black’s/Donaldson’s when I was in High School and College and learned that originally the Black’s/Donaldson’s level and the Woolworths were designed to be a two level department store – infact, there were shafts under Donaldson’s Junior’s department floor (roughly the middle of the store) which would have accommodated escalators. I also remember that Penneys had a restaurant to the right as you walked in on the lower level from the mall and Woolworths had one on the left side of their store. 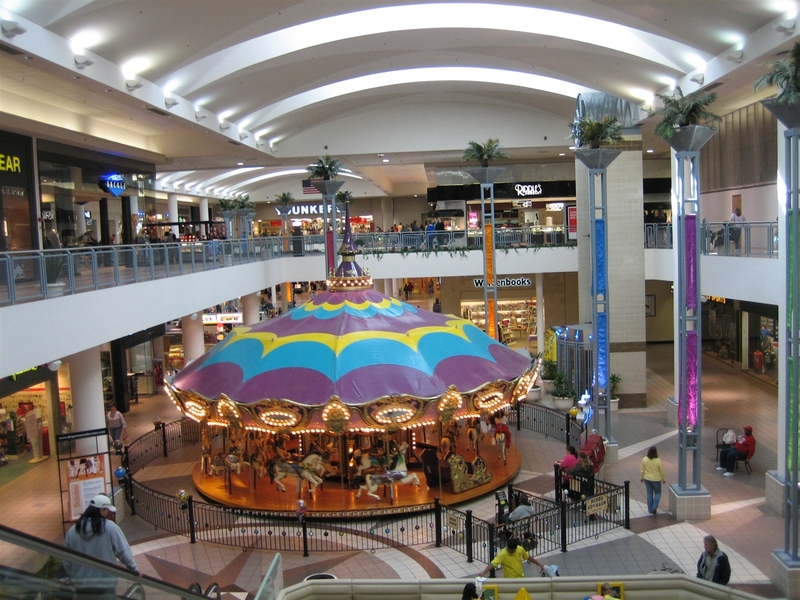 As for the carousel, there were originally two rather small round concession stands on the lower level, one at each end of the mall, we used to call them the “wishing wells” – and who can forget the large eat-in Orange Julius. Wow, so here I am trolling the internet and I see this. Wow, I grew up in Waterloo, and I use to work at the Bishops Buffet in the mall, which is in the South East corner next to what use to be Osco’s. I remember when this mall seemed larger because the first remodel that they did in in the late 80’s put a food court smack dab in the middle of the mall, in both halves. Like Micheal mentioned above The interesting thing was the mall is really split in 1/2 you have this odd stagger in the middle of it. Other memories of this mall. Before they did the big remodel their was this great toy store in the area that they now have an arcade/minigolf. That was a long time ago. Like back when they had stair cases, I remember them too. That and when you would walk out of Sears you could smell the caramel corn. That and you use to get Levi’s at Palace Clothiers on the cheap! That and a pair of chuck from Witt (?) sports were only twenty five bucks. Back in the days when it had a Pocket Change my friend worked there, we use to toss super bounce balls off the second floor and see how far across the mall they would go. Wow, memories are really flooding back. Such as (I kid you not) the guy who did the sprinkler plumbing and fittings during the remodel (the version of the mall you see above) looked like Mario, but I’m digressing now. Oh and couple of more memories. I use to put a Dixie cup full of water on the top spire/globe of Santa’s Workshop… use your imagination on that one please. Oh and take it from me, its a freaking blast to ride your bike in the mall, back when it had with the food courts in the center. I wonder what would happen if I did that one today… mmmmm, I think I need to plan a vacation to Iowa and I better bring some bail money. Gordmans used to be the 1/2 Price Store. I am sure of it. It has been Gordmans for many moons now though, in fact it became a Gordmans before I remember any other Gordmans in NE Iowa. I almost wonder if it was just a name change or change in company ownership because the 1/2 price store was very similar to the earlier Gordmans (before it started to carry bigger name brands) As far as being built as an after thought, I don’t know, it has been there since I was a small child. Granted I’m only 23. Old Navy and the ice cream shop have only been added on in the last 10 years as an after thought. Lots of great memories. I grew up in Waterloo in the 70’s & 80’s. Where Dillards is now, used to open to the parking lot. For years there was a Strawberry Starship waterbed store, before that it was a restaurant/bar called Sutter’s Mill. Down another passageway where KJ’s hair salon is now, there used to be a really great arcade and a t-shirt shop called The Mark-It where you could get t-shirts customized with iron-ons and your name. There was the Orange Julius on the corner next to JC Penney, it’s now a sort of Build-A-Bear knock off. I do remember the Woodworth’s store on the main level as well is Coach House Gifts. In the 80’s we had a Benetton store, which at the time was quite a coup because otherwise you had to go to Cedar Rapids or Des Moines. Back when there were escalators, there was a little earring shop under one of them, can’t remember the name but I had my ears pierced there for the first time in 1978. There is a bookstore and Hallmark that have been the same thing through all these years, even with all the changes. I believe Scheel’s has been there the whole time too. Used to be a KarmelKorn shop which was always a favorite! Down by the current Sears on the upper level, there was a girls’ clothing store called The Closet, they always had the “coolest” clothes. In the corner where the arcade is now, there was a Bridgeman’s ice cream store. They had the BEST food! There was a little girls’ clothing store called Diane’s. Palace Clothiers was cool, they had a big metal knight out front. The current Gordman’s store was indeed originally part of Sears. Where The Buckle is now, used to be called The Britchery. It’s pretty much always been a teen clothing store. In the upper hallway entrance to Dillards, it used to be a women’s high end clothing store called Arnold’s. Down the way towards the old JC Penney (which used to be 1st & 2nd floor) was another women’s clothing store called Seiferts. There were lots of great stores there in the 80’s, at least we all thought they were great. Anyway thanks for the memories everyone. You have a super memory and it really took me back reading your post. I got my ears pierced there too when I was in kindergarten. I loved eating at Bridgeman’s and remember all the other stores you mentioned. I grew up in Waterloo and my mom and I were always going out to the mall to shop the sales. I’ve been shopping at Crossroads since 1975. Thanks for the post. PS = For the guy who said riding your bike in the mall? Prior to the remodel they used to have completely smooth flat tiles. Think of roller skating in there. My dad used to be very involved in the Jerry Lewis Labor Day Telethon which was held there, and my brother and I would get to stay up all night helping and got to skate in there for many years. TOO much fun!! I have visited this mall several times in the past and as far as I know, the Gordman’s is still there. This mall did seem small, but the occupancy rate was high…and there are vital stores in that mall. CVS Pharmacy (Formerly Osco Drug)(I don’t know HOW malls have successful pharmacies in this day and age) and the original Bishop’s is still intact. I went to eat there once and I wasn’t as impressed as I used to be when I was a kid. When I was younger we always went to the Des Moines locations (Merle Hay Road…where I think Kohl’s might of been maybe…don’t know where it was but I know for a fact that there was one in that mall; and Southridge Mall in Des Moines (Where the now-closed Spaghetti’s restaurant…formerly Garfield’s after Bishop’s) stands.) 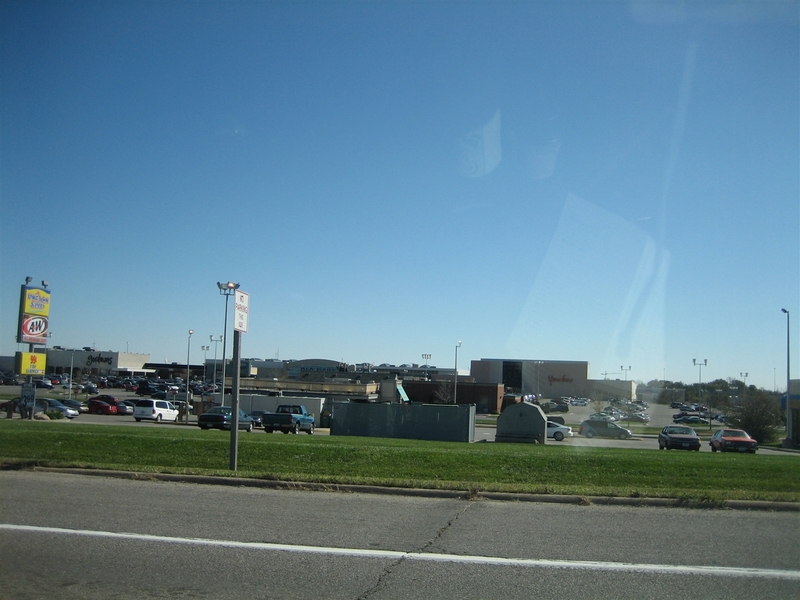 Also, This mall has a LOT to offer if you think about it such as an arcade, a Scheel’s All Sports, Maurice’s, Buckle, Bath & Body Works, Claire’s, big name anchors like JC Penney, Younkers, Sears, and Dillard’s (with Junior Anchor Old Navy and Gordman’s…which I believe do NOT have mall entrances.) But this mall has tons of exterior businesses such as Bed, Bath & Beyond, Barnes & Noble, Wal-Mart Supercenter, Hy-Vee, Olive Garden, Menards, Red Lobster, Toys R Us, Starbucks, Big Lots, Hobby Lobby, Super Target, and many many many more! So give this mall a chance as it won’t be dying anytime soon! I live in Waterloo. Old Navy is in Rex’s old spot. Cold stone was added and covered Subway’s window, so subway moved to center court. The Younkers in space that was the second floor of JC Penny’s. JC Penny’s offices still exist on that second floor. 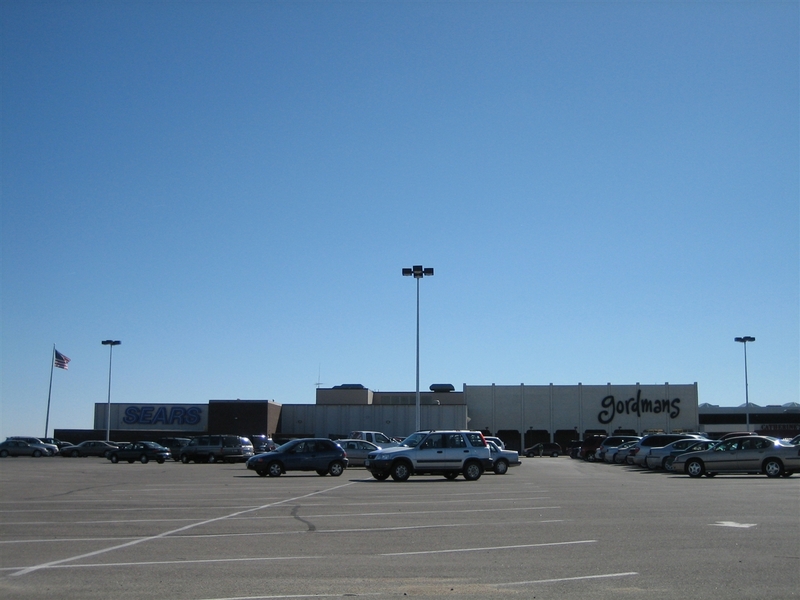 Gordmans was the 1/2 price store, and yes it was part of Sears territory at one time. Bishops has closed. Gordmans has two entrances, one exterior and one into the mall. Dillards and its wing was an add on in the late 90’s which is why its design is in contrast to the rest of the mall. This mall is really misleading…it looks like its a super-regional mall from California…but it’s just a regional mall in Iowa. I went to high school in Waterloo (graduated in 1987), and back in the mid-80s you went shopping at Crossroads Mall. It was the place to be, and my friends and I used to scrape together as many quarters as possibly and ride our bikes out there to play in the arcade, which was I believe on the lower level entrance just to the left of where Dillard’s is now. My friends and I played a lot of pen-and-paper role-playing games in high school, one of which was a superhero RPG where you played yourself, but as a superhero. Our superbattles would pretty much inevitably wind up taking place at the mall, which we wrecked about every weekend. Fun little mall. It’s funny how it wound up with the Penney’s/Younkers split and the Sears/Gordman’s split. However, it seems to work. I wish more malls had been built like this – wide, open corridors that become the center court, but not so big it takes forever to walk the mall. Agreed that it looks Gruen-esque from that standpoint. Overall, I liked it, but it will lose its CVS as one is being built outside the mall.